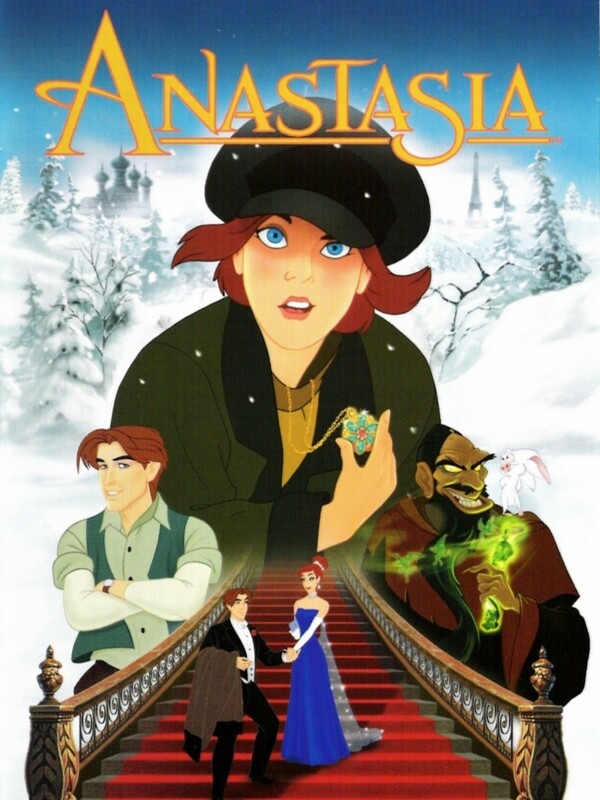 "Anastasia" revisits an old legend suggesting that Anastasia, one of the daughters of Czar Nicholas II, escaped the doom that fell upon her family and made a new life for herself elsewhere. Here, she loses her memory in the midst of escaping the palace and is raised in an orphanage under the name of Anya. Once she is old enough to set off on her own, she embarks on a quest to find herself and understand her history, hopefully unearthing a family in the process. Anya takes up with a pair of conmen who convince her to travel to Paris with them in an attempt to collect her grandmother's reward for retrieving Anastasia. Meanwhile, the evil Rasputin plots to kill her, thus restoring his life.